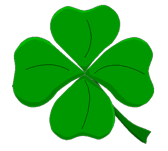 Google Student Blog: Happy St. Patrick's Day! It's time for green clothing, corned beef sandwiches, and dumping large quantities of dye into bodies of water - St. Patrick's Day is here again! At Google we are celebrating with our annual 5K run, Irish themed food in our cafes, and, of course, a special holiday logo, designed by Doodle 4 Google Ireland winner Evan O'Sullivan Glynn. Hope everyone has a fun and safe St. Patrick's Day! And be sure you're wearing green so you don't get pinched!